Children will have fun with this construction and early learning manipulative. 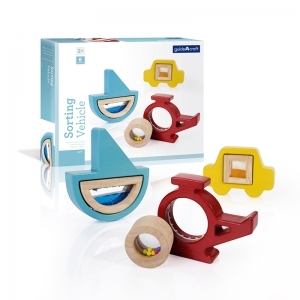 Ideal for developing fine motor skills, and for counting, sorting and creative design. How many pebbles can you stack before they topple over? 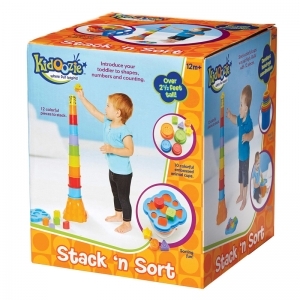 Encourage visual perception, fine motor skills, sorting, counting, stacking, and more! The wonderful tactile experience of the smooth, rubbery pebbles in six different colors will delight the senses. 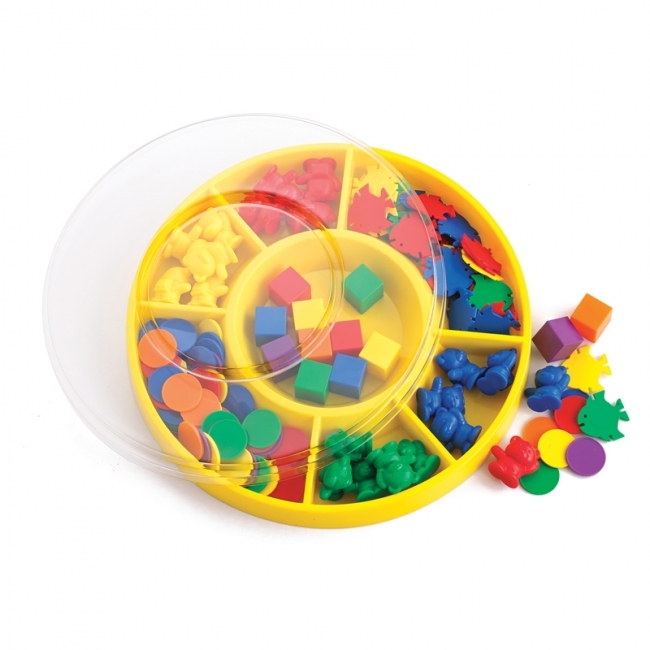 Set includes 36 plastic pebbles in 6 sizes (0.75" x 1.125" x 0.25" to 2.25" x 3.25" x 0.25") and 6 colors, and 20 double-sided full-color activity cards packaged in a sturdy plastic storage container. Colorful sorting bowls and tweezers are ideal for all counting and sorting activities. The tweezers are easy for small hands to use, and improve fine motor skills. Sorting bowls measure 5.12" diameter and 1.57" deep with 6 colors. Tweezers are 4.72" long with 6 colors. Designed for small hands, these jumbo tweezers are easy to handle. 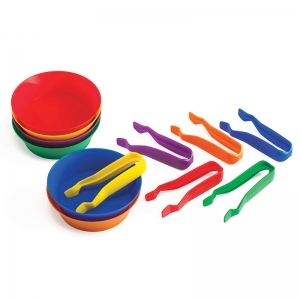 Includes 6 bowls, 6 tweezers in 6 colors each. Preschool children are naturally curious about sorting objects. 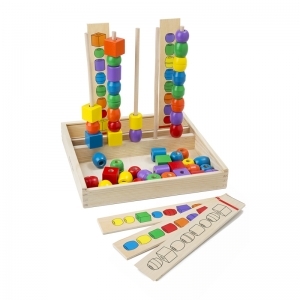 Their interest helps them develop key skills such as counting, comparing, sorting and patterning, all important skills for more advanced mathematical concepts. 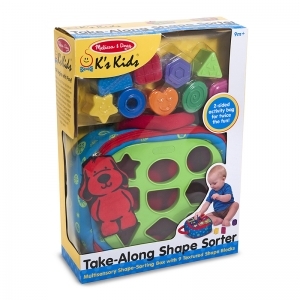 First Sorting Kit is designed to provide safe materials that engage youngsters in stimulating hands-on experiences. 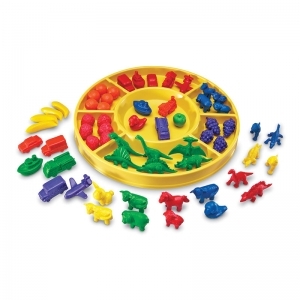 The First Sorting kit contains basic shapes, bears and fish, total 132 pieces. No small parts! Safe for young children (18 months+) learning early math, colors, classifying and sorting. Lid included. 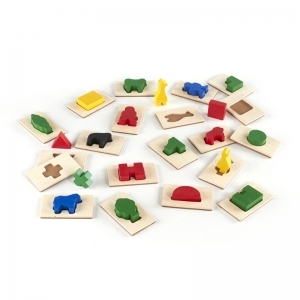 Complete with 20 wooden shapes and matching, textured tiles provided in a durable canvas bag. 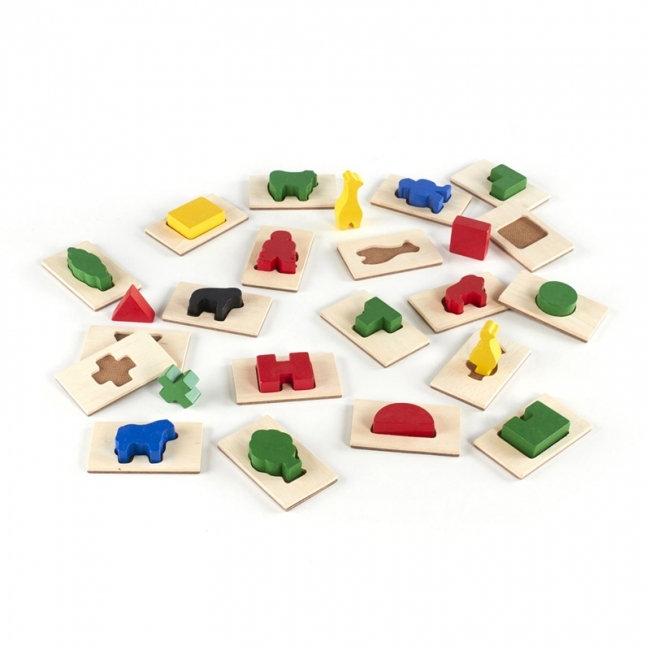 Deal out the tiles and have children reach into the bag to feel and find the corresponding wooden shape. Play alone or in larger groups. A great visual and tactile exercise. Ages 3 and up. 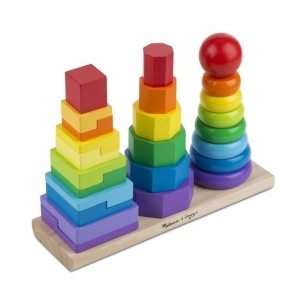 Beautiful, colorful, wooden Sorting Vehicles are the perfect way to teach color and shape-matching while stimulating fine motor and sensory skills. 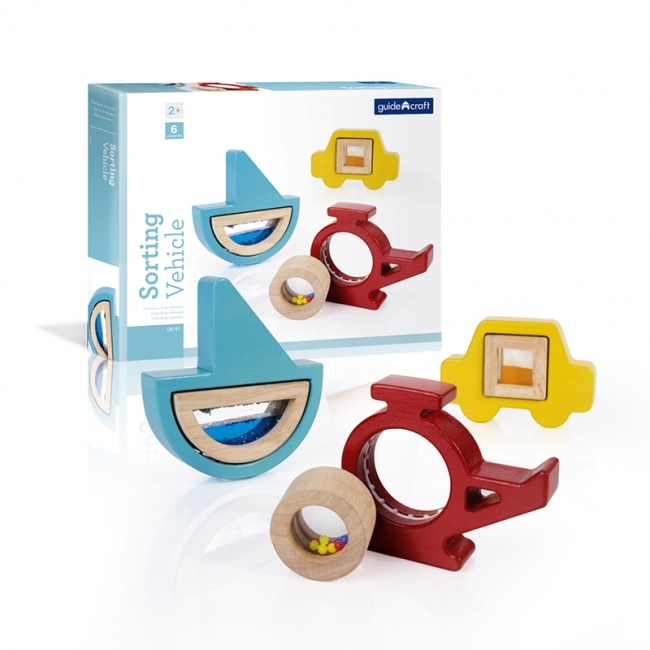 Three vehicle-shaped blocks have inset sensory blocks, displaying sand, water and beads through framed acrylic windows. Great for teacher/student or parent/child participation. Suggested Age 2 and up. These nest and stack buckets include a shape sorting bucket with a handle, the 10 stacking cups have numbered bases with images. The number of images on each cup matches the number written on the cup. Build a tower from 10 (biggest cup) down to one! Or lay them out on the floor and count from 1-10! This toy can also be used in the bath. 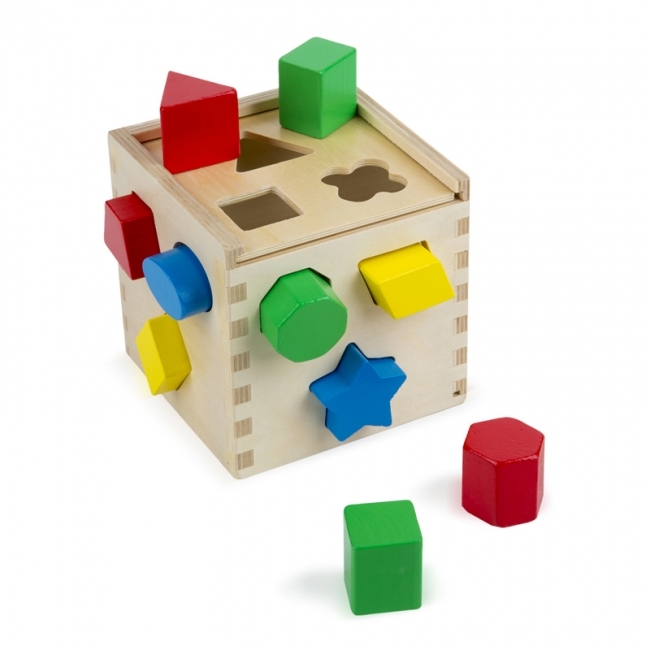 The four shapes have small holes for water sprinkling activities. Janod I Wood - Shape Sorter Drum makes learning shapes fun. 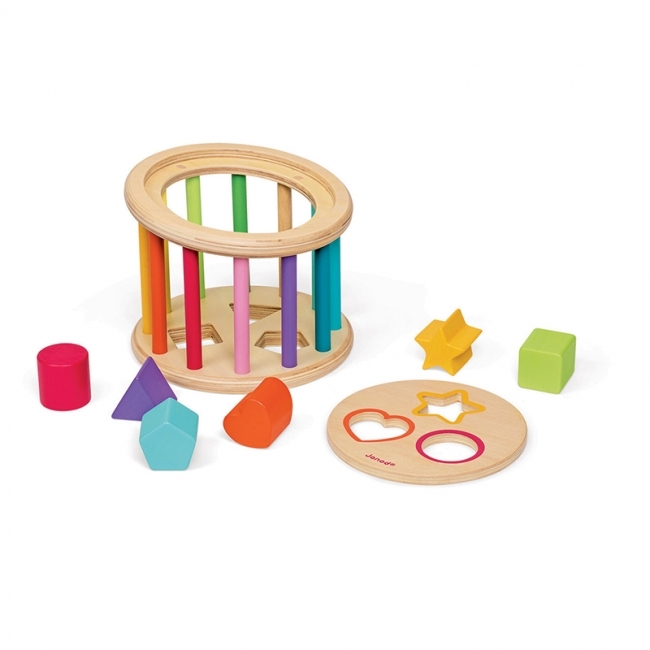 This rolling drum has a magnetic top that makes it easy to retrieve the pieces once they are sorted. 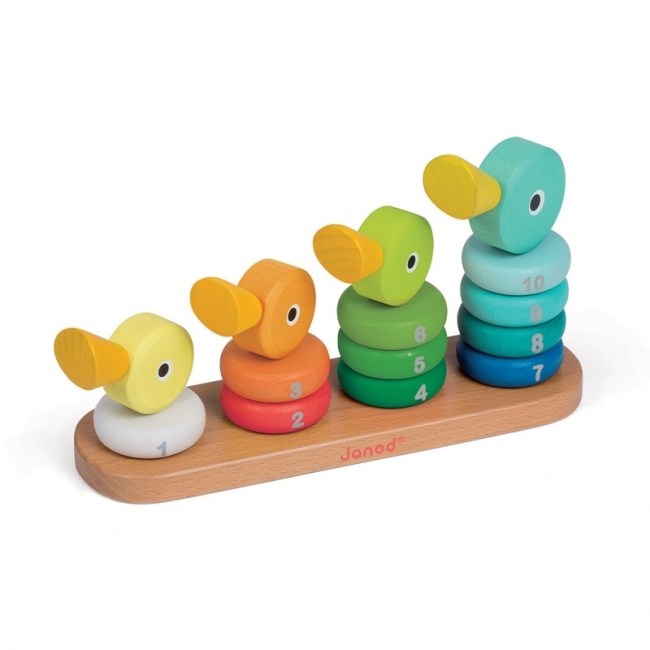 Bright colors, fun shapes and chunky pieces make this drum a big hit. Recommended for children aged 18-36 months. 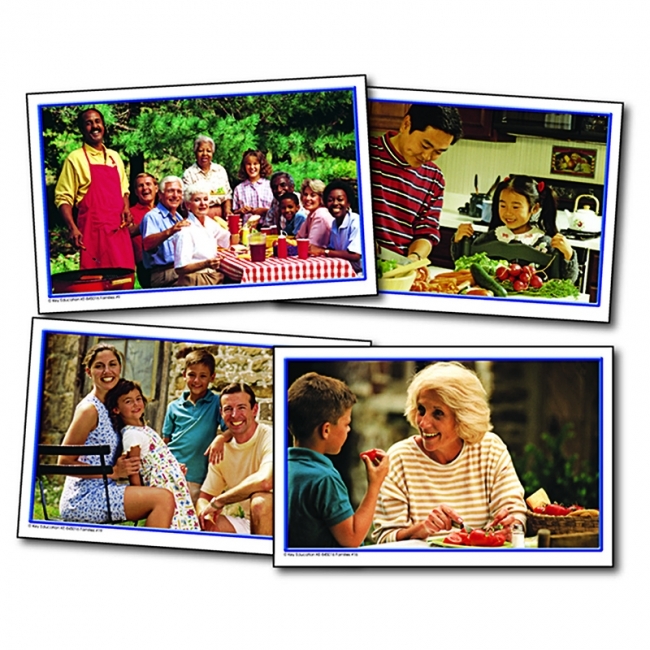 Learning cards are a wonderful way to reinforce basic principles, lessons, and skills. 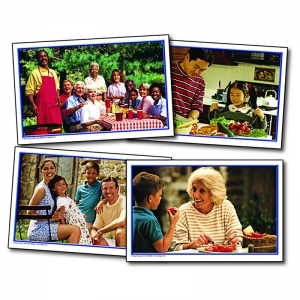 The Families set includes 24 cards (8.5" x 5.5" each), including photographs of family groups, as well as a resource guide in English, Spanish, and French. It highlights the value of various family groupings and words as a great discussion starter for early learning, ELL, Head Start, and Title I. It also supports NCTE and NAEYC standards. Use this circular sorting tray to help kids count, sort and classify their counters. 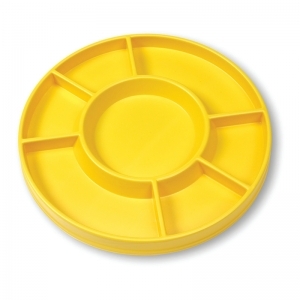 Tray is made of sturdy plastic for years of use.